Henrietta Smith Bowers Duterte was a noted philathropist and the first woman and first black woman to own a funeral home in America. 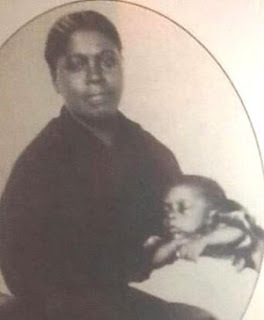 Henrietta was born in 1817 to an affluent free black family in Philadelphia. Known in the community for her fashion sense, Henrietta became a tailor, a successful one. She made cloaks, capes and coats for the middle and upper classes. In 1852, at the age of 35, Henrietta married Francis A. Duterte who owned a funeral parlor. The couple had several children, but none of them live past infancy. Henrietta's family life was not to be a happy one. After only six years of marriage, her husband passed away in 1858. Despite her personal tragedy, Henrietta carried on. She took over her husband's funeral parlor and put her name on it. She became the first woman and first black woman to own an operate a funeral parlor. She quickly made a name for herself as a compassionate and swift undertaker who served both the black and white communities. Her business as a funeral director was profitable just as her tailoring business had been. In addition to offering dignity in death to everyone in her community, Henrietta fought to give dignity in life as well. She was an abolitionist and part of the underground railroad. She smuggled slaves to safety by hiding them in coffins and disguising them as members of funeral processions. Henrietta's philanthropy reached even further. She supported several charities in her community. She gave money to her local church. She supported the Philadelphia Home for Aged and Infirmed Colored Persons. She also helped support and start the 1866 Freedman’s Aid Society Fair, which offered aid to former slaves in Tennessee. Though she eventually gave her business to her nephew, some accounts say she worked there until two days prior to her death in 1903 at the age of 86. She served her community until the very end as well. She never ceased her philanthropy or support for causes she cared about. 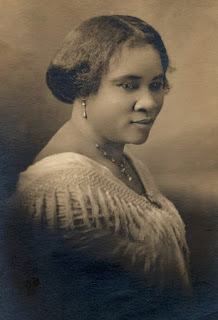 She also opened many doors for women both black and white to operate their own businesses. Henrietta never took a conventional route. She married late after running her own business and when her husband passed, she not only took over his business but switched it to her name. She grew that business and used that prosperity to help others. Watch a video about Henrietta from Ask a Mortician. View a surviving document that shows she did business in her own name. Check out this book about the Underground Railroad that includes a passage about Henrietta. 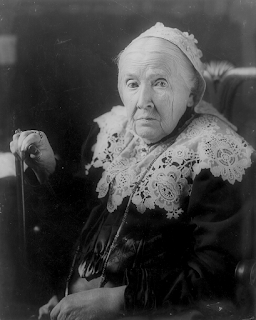 Julia Ward Howe was a poet, songwriter, abolitionist, suffragette and activist who advocated for causes such as prison reform and international peace. Born Julia Warn in 1819, she was the fourth of seven children. Her father was a stockbroker and her mother was poet, Julia Rush Cutler. In 1843, Julia married Samuel Gridley Howe who was 18 years her senior. Julia and her husband were both activists and together edited the abolitionist newspaper Commonwealth. Despite their shared passion to end slavery, Julia and Samuel did not have a happy marriage. In Elaine Showalter's biography of Julia titled The Civil Wars of Julia Ward Howe, she paints a distressing picture of the marriage. The biography suggests that Samuel was in love with his male best friend Charles Sumner, and wanted Julia to act not as a partner but as an adoring devotee. Samuel wrote of wanting to keep Julia as a "prisoner [his] arms." Julia would be no one's prisoner even if she did remain in her unhappy marriage. In 1862, Julia penned for The Atlantic the piece that would make her famous. "The Battle Hymn of the Republic" appeared first as a poem and was later set to music. It would become a rallying cry for Union soldiers during the Civil War, but its inspirational powers wouldn't stop there. The women's suffrage movement and black civil rights workers would adopt the hymn later on. That one poem may have brought Julia fame, but her literary work extends well beyond that. She wrote several collections of poetry, several travel books and a play. 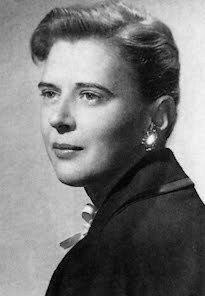 Her works have not been as well remembered as her "Battle Hymn" but they were ranked among the best work of her time. George S. Hellman said Julia was "the most notable woman of letters born and bred in the metropolis of America." Julia's legacy doesn't stop at written works. In addition to advocating for the abolition of slavery, Julia fought for women's rights. She served as one of the founders of the women's suffrage moment working alongside Susan B. Anthony and Elizabeth Cady Stanton. 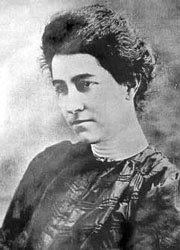 Julia had a more conservative approach to women's rights than her well-known contemporaries, but ultimately they joined Julia, who was seeing success with her methods. Even though Julia died because women earned the right to vote, she was a major player in founding and maintaining the movement. She also started a weekly magazine, the Women's Journal, in 1870, which not only discussed various women's issues, but called for women all over the world to join together to create international peace. In 1871, Julia became the first president of the American chapter of Women’s International Peace Association. Samuel did not support Julia's writing or her activism for women's rights. While he didn't mind working with her on the abolitionist paper, he didn't like that she wrote about their marriage and women's roles in society. Samuel tried many tactics to keep her from disobeying him. Julia made concessions to keep her family intact for her children, but that didn't stop her from becoming one of the most prominent and influential women of her era who would make massive strides forward for feminism, civil rights and world peace. 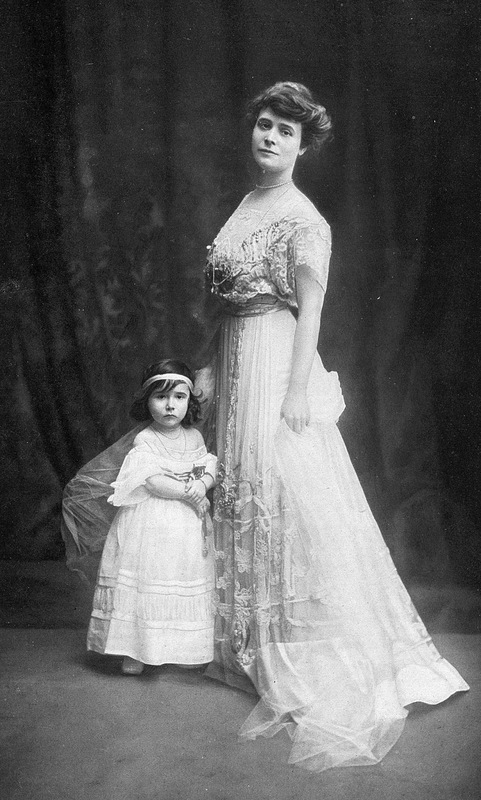 Julia died in 1910 at the age of 91. A choir of 4,000 sang "The Battle Hymn of the Republic" at her funeral. It's difficult to capture all of Julia's accomplishments in one post or even one book. She may not have lived a happy life in her marriage, but she lived a life of great passion and purpose. Her achievements echo on into the future just like her famous "Battle Hymn." There is an entire website about her amazing work. Check out Julia's many books, several of which available as free ebooks. Yesterday, I wrote about Tye Leung Schulze, and I mentioned Donaldina Cameron, who ran the safe house to which Tye escaped when she ran away from a forced, child marriage. Donaldina dedicated her life to rescuing Chinese girls from slavery and earned the moniker "Angry Angel of Chinatown." 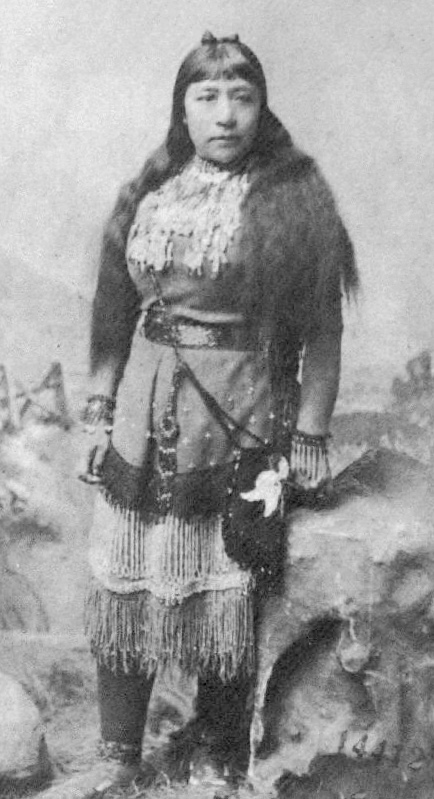 Donaldina came to San Francisco as a young girl. When she was young, she had little contact with the struggles of the nearby Chinese immigrant population. A family friend brought the then 23-year-old Donaldina to the Occidental Mission Home for Girls where she became a sewing teacher. Only two years later, Donaldina became the superintendent of the home. A lack of prior experience didn't seem to matter to Donaldina or her charges. She ran the home with gusto and made daring attempts to rescue as many girls as possible from various forms of slavery, forced marriage and human trafficking. She often darted through dark alleys and climbed across rooftops to rescue girls. Her life was constantly threatened by those who profited from the girls she saved, but that didn't stop her. Donaldina was guided by her mission to save these girls as well as by a strong faith in God. She continued on with her work regardless of threat, risk or difficulty. Because child welfare laws did not exist at the time, Donaldina often had to break the law to rescue the girls, but she preferred this tactic because it meant the girls were at least safe while she worked out the legal issues. In 1904, Donaldina and her lawyers were able to challenge the courts to provide some protection for these children. This not only aided Donaldina's work, but it also set a foundation for future child welfare laws. Donaldina didn't stop at rescues. The Occidental Mission Home for Girls was truly a home where she mentored and taught the girls. They learned skills like sewing and cooking. Donaldina helped them on their paths as the home whether for marriage or an education. One of Donaldina's charges became the first Chinese-American women to graduate from college. 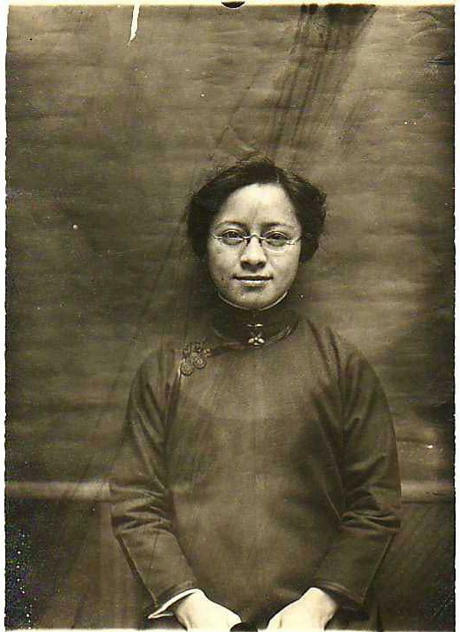 Just as Tye, mentioned above, became the first Chinese-American woman to vote. 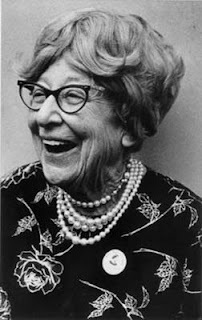 In 1934, Donaldina retired from the home. In 1942, it was renamed Cameron House, which it had been called by many for decades. Donaldina passed away in 1968. She's credited with saving over 3,000 girls, but her legacy doesn't stop there. Cameron House continues to operate and serve the Chinese women and immigrants in the San Francisco area. What began for Donaldina as a position teaching sewing became a lifelong mission to rescue girls, halt human trafficking and aid the immigrant community. This mission has had an impact that extends well beyond Donaldina's lifespan. Find out more about what Cameron House continues to do today. Watch a video tribute to Donaldina. 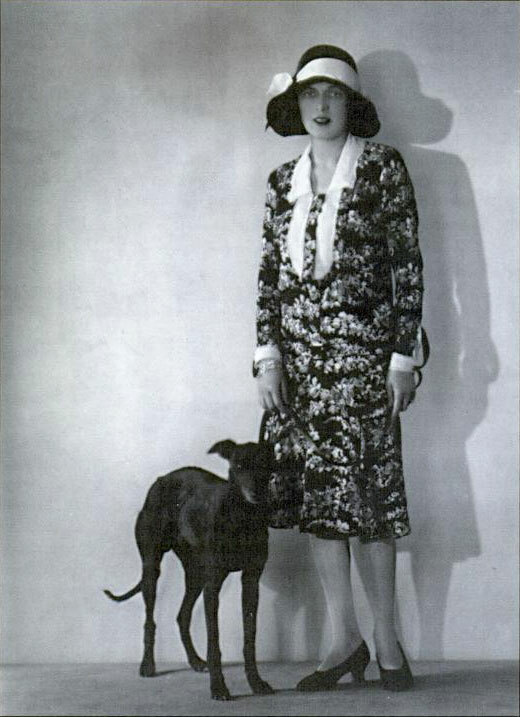 Read more about Donaldina in the book, Chinatown Quest: The life adventures of Donaldina Cameron (which is sadly out of print). Tye Leung Schulze ran away from home at the age of 12, narrowly escaped a life of slavery, fought human trafficking, voted, married illegally and worked as an interpreter for countless immigrants. She did all of this despite being was born a female and a minority in 1887. Tye did not face an easy life. She was the youngest of eight children born to Chinese immigrants. Her parents struggled. 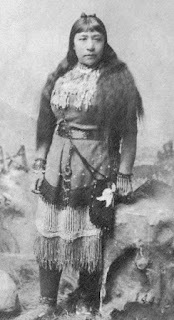 She attended a mission school as a very young child, but when she was nine, she was sold to another family to work for them. Her uncle, with the help of the teachers at her mission school, brought her back home. However, three years later, Tye was forced to run away. Her sister has been promised to marry a man in an arranged marriage, but ran off with another man before the wedding. Their parents wanted Tye, who was 12 at the time, to take her sister's place. Tye ran and found refuge at the Presbyterian Mission Home, known mostly as Cameron House after the woman who ran it, Donaldina Cameron. Tye grew up at Cameron House and stayed there to help Donaldina in rescuing other Chinese girls trapped in slavery, indentured servitude and forced marriages. Tye also helped many of these girls by serving as an interpreter for them. In 1911, Tye became the first Chinese-American woman to pass the civil servant exams and take a civil service position. She was hired to work as an assistant at the Angel Island Immigration Station. She interpreted and worked with immigrants who had been detained for various reasons upon their arrival. In 1912, Tye made headlines for becoming the first Chinese-American woman to vote. Voting was not a right universally available to women in the United States yet, but California passed a law giving women the vote. Tye was eager to participate. Of voting, she said, "I studied; I read about all your men who wished to be president. I learned about the new laws. I wanted to know what was right, and not to act blindly... I think it right we should all try to learn, not vote blindly, since we have been given this right..."
Tye would go on to make headlines again a year later when she married Charles Schulze, a white man. The pair met at Angel Island and quickly fell in love. Interracial marriage was illegal in California at the time so, they traveled to Washington state to get married. They had to quit their jobs at Angel Island because of their marriage, and they struggled to find work after this. Tye eventually went back to school to become a bookkeeper. The pair had four children, two daughters and two sons. Charles passed away in 1935, and Tye worked two jobs to support her family. She worked as a bookkeeper at a hospital and as a nightshift telephone operator in San Fransisco's Chinatown. In 1946, Tye was hired by the Immigration Office again to work as an interpreter. She continued to serve as an interpreter both for the government and individuals in the area until her death in 1972 at the age of 85. Tye lived a bold life. She did not let her circumstances dictate her possibilities. She didn't stop at escaping slavery and forced marriage herself, she fought to free others from those fates even when she was very young. She voted, and took that right seriously. She married who she pleased, earned an education and worked hard to support her family. She always interpreted for anyone who needed her help. Her life was selfless and made so many other lives freer and better. Read an account written by Tye's grandson about his grandparents. Read about Tye and her contemporaries in the book, Unbound Voices: A Documentary History of Chinese Women in San Francisco. 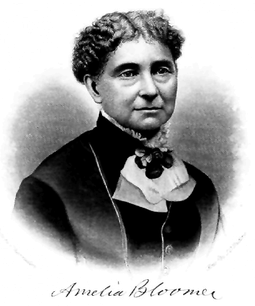 In 1869, Arabella Mansfield became the first female attorney when she was admitted to the Iowa Bar. Born in 1846, Arabella, known in childhood as Belle, lived with her mother and brother after her father abandoned their family to take part in the California Gold Rush. Young Belle was particularly close to her brother, Washington. Because many men were going to fight in the Civil War, colleges began to admit more women. This opened doors for Arabella to follow in her brother's footsteps and begin her studies at Iowa Wesleyan College in 1862. Washington left school briefly to enlist in the Eighth Iowa Century. He returned to school in time to graduate the same year as Arabella. Arabella was valedictorian and Washington was salutatorian of their graduating class. Arabella accepted a teaching position at Simpson College, but only stayed for a year before returning home to marry her childhood sweetheart, John Melvin Mansfield. After they married, John encouraged Arabella to continue her studies and pursue her interest in law. She apprenticed at Washington's law offices. In 1869, Arabella passed the Iowa Bar Exam. It's unclear how she was able to take the exam as it was only open to men over the age of 21. Regardless, she passed and challenged the Iowa state bar to allow her to be admitted. When Iowa agreed to admit Arabella, they became the first state in the union to permit female lawyers. Arabella did not go on to a career as a lawyer, but her act opened up the world of law to women in the United States. Rather than working as a lawyer, Arabella went on to teach and work as an activist for women's rights. She earned an M.A. and another B.A. at Iowa Wesleyan College and went on to teach English Literature at the school. She and her husband both became active in the women's rights movement. In 1870, Arabella began working with the Iowa Women's Rights Convention and became president of the Henry County Woman Suffrage Association. 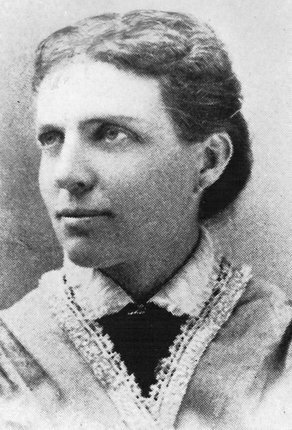 In 1876, Arabella and her husband moved to Indiana where they both taught for eight years at Ashbury University (now called DePauw University). Arabella took a break from teaching to care for her ailing husband. After he passed, she resumed her career and became one of the first female college administrators in the United States serving first as the Dean of the School of Art and next as the Dean of the School of Music. Even late in her career, Arabella worked to further women's rights and open doors for other women. 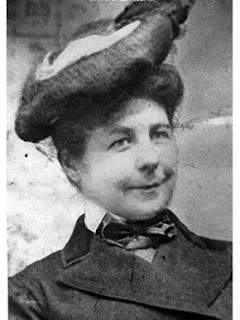 She joined the National League of Women Lawyers in 1893. Her entire career was one mostly unimaginable to women of her era. She didn't let that stop her. She forged forward, ignoring barriers and remaining studious. She fought for the right to be a lawyer. She earned her place in academia. She fought for the right to vote. Arabella passed away in 1911 before the 19th amendment passed granting women the right to vote. She didn't see all of the fruits of her labor, but many women after her have benefitted from them. In 1980, Arabella was inducted into the Iowa Women's Hall of Fame. The Iowa Organization of Women Attorneys introduced in 2002 the Arabella Mansfield Award which recognizes the accomplishments of female lawyers in Iowa. 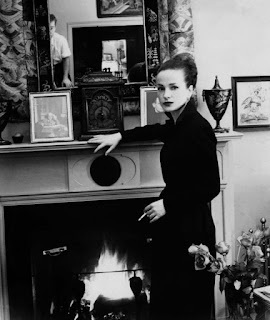 Maeve Brennan was an Irish-American journalist and short story writer with a varied style who was compared to writers like Chekhov and Flaubert. She also lived life entirely on her own terms, never minding the cultural expectations placed on women of her time. Born in Dublin in 1917, Maeve was reluctant to come to America but was left with no choice when her father was appointed to a position in Washington D.C. in 1934. After graduating with a degree in English from American University, Maeve moved to New York City where she found work at Harper's Bazaar. She also wrote for the New Yorker and an Irish social publication. In 1949, she took a position at the New Yorker where she began as a social diarist and expanded to essays, fashion writing and short fiction. She wrote extensively about both her homeland of Ireland and her current place of residence, New York City. Maeve became a vibrant part of the New York literary scene. She was bright, beautiful, eccentric, clever and captivating. She drank and ventured into pubs women simply didn't go into in those days. 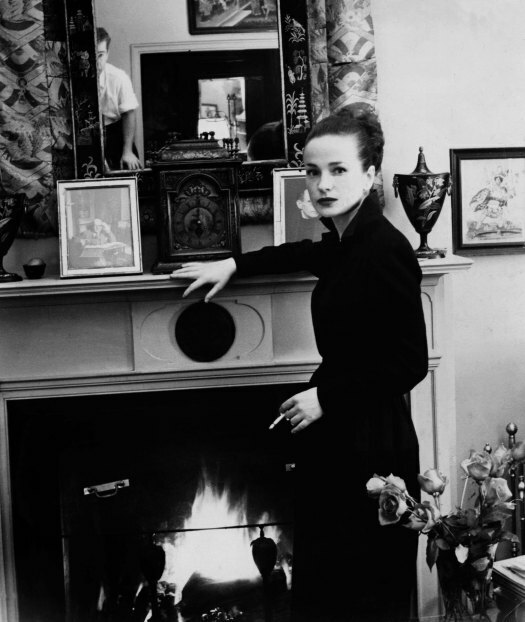 She moved constantly, searching out pretty places to live with fireplaces and eccentric details. She wasn't looking to settle down anywhere. Maeve loved her autonomy and her freedom. It seemed she viewed Ireland as her home, one she would not reside in again, and New York City as a place she lived. In fact, Maeve referred to herself as a "traveler in residence." In 1954, the fiercely unattached Maeve married St. Clair McKelway, a fellow New Yorker employee and noted womanizer who was 12 years her senior. Both were bad with money, prone to too much drinking, impulsive and wild. The marriage lasted only a few years but ended amicably. During her married life, her mother passed away. These personal shifts and upheavals caused Maeve's work to taper off for a time. Once her marriage ended, however, Maeve started back to her writing, turning out even better work than before. Also, in 1954, Maeve began writing unsigned pieces for the New Yorker as the "long-winded lady." She was not identified as the writer until she published a selection of the pieces in 1969. These articles offer up Maeve's sharp view of life in New York City. There are witty observations and quiet slices of life. There are celebrity sightings as well as sightings of anonymous people going about their lives. Maeve also wrote series of stories set in Ireland. 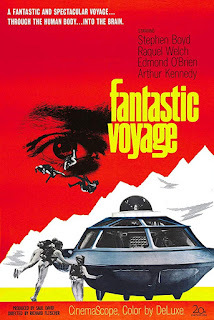 These were popular among readers and involved a cast of characters that carried over from piece to piece. Once, when Maeve had been in a bit of a dry spell with these stories, a reader wrote in to ask when more would arrive. Maeve responded to the letter in the magazine with a fantastical account of her own (fictional) death (Read it here). Maeve's story doesn't end happily. Her light burned brightly, much like the open fires she always wanted to have in her living spaces, but perhaps it burned too brightly. Her eccentricities, once loved, turned concerning. Her drinking became heavier. Her behavior turned erratic. Having never settled anywhere, Maeve's constant moving and lack of money management resulted in her homelessness. She vanished from New York society in the early 1980s and eventually died penniless and alone in a nursing home in 1993. Just as Maeve died in obscurity, so it seemed was the fate of her literary legacy. Thankfully, it looks like a revival is afoot. Her book, The Long-Winded Lady, saw re-release just a couple of years ago. Her work has been anthologized in collections of New York and Irish writers. Her writing continues to dazzle as new readers discover it. Maeve's talent is certainly worthy of a place among the 20th century's best writers. If those of us who discover her share what we find, hopefully, she will get the attention from history that she deserves. Discover more about Maeve where I first learned about her in Spinster: On Making a Life of One's Own by Kate Bolick. Download the Spinster book club kit for a Maeve Brennan paper doll! Next time you're driving in the rain, you can say a little thank you to Mary Anderson, the inventor of the windshield wiper. Mary was born in 1866 in Alabama. In addition to being an inventor, she was a real estate developer, a rancher and vineyard operator. While not a lot is known about her personal life, it seems Mary became a savvy businesswoman. She moved to California for a time but returned to Alabama to take care of an ailing aunt. Mary and her family inherited a comfortable sum of money from this aunt by way of hidden gold and jewelry. Some reports say the jewelry was concealed in trunks while others say it was hidden in wooden legs. Early in the twentieth century, Mary took a trip to New York City where she rode a trolley. She noticed that the driver had to stop the trolley to remove the snow and ice from the window. This was both slow and dangerous. Mary wondered if a window cleaning device could be created that allowed a driver to operate it from inside the car. Right there in that trolley car, Mary because to sketch her idea. Even though she didn't drive and many thought such a device would be a distraction to drivers, Mary continued to refine her design. After some trial and error, she came up with a basic "window cleaning device," for which she received a patent in November of 1903. Mary attempted to sell her design to a Canadian company who said, "We do not consider it to be of such commercial value as would warrant our undertaking its sale." Mary was unable to sell the patent or make any money from her invention. In an interview with NPR, Mary's great-great niece, Rev. Sara-Scott Wingo talked about her great-great aunt's invention and why it wasn't a financial success. Wingo suspects it was because Mary was a woman, saying "She didn't have a father; she didn't have a husband and she didn't have a son, and the world was kind of run by men back then." After the patent ran out in 1920, the device became widely used. Cadillac was the first automobile company to make it a standard on their vehicles. Mary lived long enough to see her device in use and make roads much safer. Her lack of financial gain from her invention didn't seem to slow her down. She remained a successful businesswoman until her death in 1953. Mary wasn't recognized for her work during her lifetime, but that has since been corrected. She was inducted into the Inventors Hall of Fame in 2011. Listen to the NPR interview mentioned above. Read more in the Encyclopedia of Alabama. 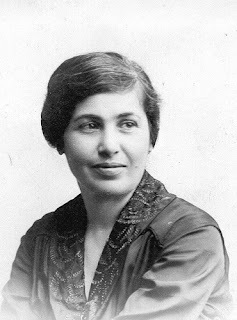 Zabelle C. Boyajian was an Armenian painter, writer and translator at the turn of the 20th century. Biographical information on Zabelle isn't widely available. We know the basic facts and some of her publications and major works, but it is difficult to find out the smaller details of her life. 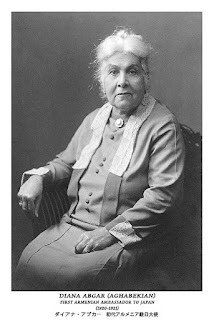 She was born in Diyarbakır in the Ottoman Empire in 1873 to an Armenian father and a mother of English descent. In 1885, her father was killed in the Hamidian Massacres, prompting her mother to move with her and her brother to London. 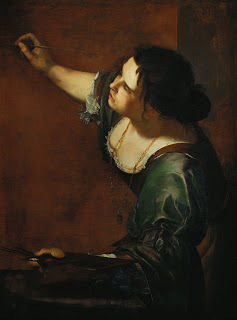 After the move, Zabelle enrolled in the Slade School of Fine art and began writing and illustrating her own books. In 1901, Zabelle published her first novel under the pen name Varteni. The book, titled Yestere: The Romance of a Life (Esther in English) dealt with the massacres in Sasun, where the Armenian resistance movement first took a stand against the Ottoman army. 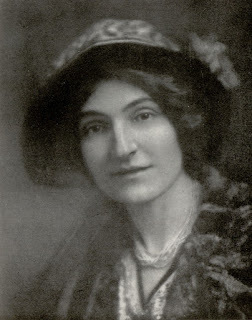 In 1910 and 1912, Zabelle had the first exhibitions of her paintings in London. She would later go on to exhibit her artwork in Germany, Egypt, France, Italy and Belgium between 1920 and 1950. In 1916, she published what is her best surviving work, Armenian Legends and Poems. Zabelle compiled and translated (along with a few other translators) this collection of folk songs, legends and poems, knowing that the stories treasured by her people were at risk. By this time, the Armenian Genocide was well underway in the homeland she'd left behind. The first edition of Zabelle's book raised money to aid refugees from the ongoing atrocities. Zabelle traveled widely and published a book about her travels to Greece in 1938. In 1948, she published her translation of Avetik Isahakian's epic poem Abu Lala Mahari. She also wrote many essays about classic literature, Armenian literature and comparative essays about Armenian and English literature. Zabelle died in 1957 at the age of 83 or 84. Through her efforts to preserve the legends and poetry of Armenian, Zabelle has reached across the decades to ensure a vast diaspora has access to these important literary and historical artifacts. In the introduction to Armenian Legends and Poems, Zabelle wrote, "In preparing this book of Armenian legends and poems my principal object was to publish it as a memorial to an unhappy nation." Zabelle succeeded in that goal and achieved one she might not have expected. As the great-granddaughter of refugees of the Armenian Genocide and a lover of books, I have spent a lot of my adult life trying to find the Armenian stories that I don't know, the ones that were lost when my ancestors were scattered. Zabelle's collection was the first I found nearly a century after she first published it. The young Zabelle lost her father, her home and surely many family members and friends to the repeated massacres and genocide of the Armenian people. Though she was far from her home and her people, she fought back. She fought by publishing the work of a group of people who were being slaughtered while it was happening, thereby raising money and awareness. She fought by keeping stories alive and preserving the very heritage the Ottoman armies sought to eliminate. As I write this, I sit here with a copy of her book beside me. Her efforts may not be widely known to history, but they are not lost. Download Armenian Legends and Poems from Project Gutenberg. Or purchase a print or Kindle copy from Amazon. See two of Zabelle's illustrations, which sold at Auction last year. Patsy Matsu Takemoto Mink was born in Hawaii in 1927. 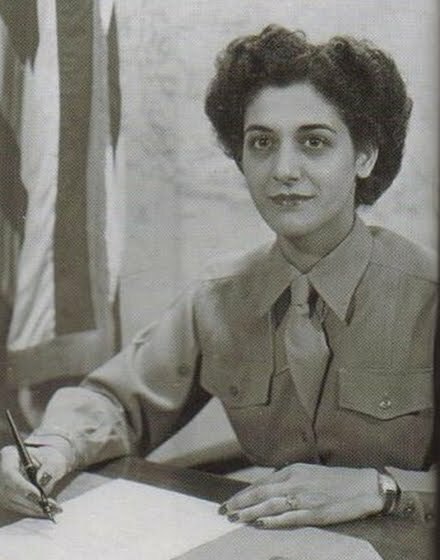 She went on to become the first woman of color elected to Congress, the first Asian-American women elected to Congress, the first woman from Hawaii election to Congress and the first Asian-American woman to run for presidential nomination for the Democratic party, which she did during the 1972 election cycle. Patsy's ambition was clear even in high school where she was class president and graduated valedictorian. She went on to earn a B.A. in zoology and chemistry from the University of Hawaii and a J.D. from the University of Chicago Law School. She married John Francis Mink in 1951. In 1952, she had a daughter and the family moved back to Hawaii where Patsy practice law and taught. Patsy was first elected to the Hawaii senate in 1958. In 1959, Hawaii became a state, and Mink sought the Democratic nomination for a seat in the House of Representatives. She was unsuccessful. She was once again elected to state senate in 1962, and in 1964, when Hawaii earned a second seat in the House of Representatives, Patsy ran without the Democratic nomination and won. Through her boldness and grassroots efforts, Patsy broke a lot of barriers and achieved many firsts in this one move. While in Congress, Pasty fought for equal rights for women and also worked to balance the scales in schools through the efforts like Title IX and the Women's Education Equality Act. Title IX barred gender discrimination for institutions receiving federal funds. It also opened the doors for female athletic programs in schools. The Women's Education Equality Act went further by requiring gender equality programs, more education and job opportunities for female students and even removing gender stereotypes from textbooks. Mink tried for a U.S. Senate seat in 1976 but lost. She remained active in politics and served in her native Hawaii throughout the 1980s. In 1990 she returned to the House of Representatives where she served until 2002 when she passed away at the age of 74. Her work set in motion many improvements for women and reform in healthcare and education for everyone. 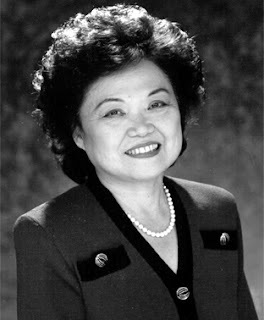 In 2003, the Patsy Takemoto Mink Education Foundation was started to support low-income women and children. In 2014, she received a posthumous Presidential Medal of Freedom, the nation's highest civilian honor. Visit the Patsy Takemoto Mink Education Foundation website. Watch the documentary Patsy Mink: Ahead of the Majority. Check out this children's book about her. book. No pictures of the doctor remain. In 1864, Rebecca Lee Crumpler became the first female African American doctor. Born Rebecca Davis in 1831, she was raised by an aunt who cared for the sick. Rebecca was a bright student and was granted the status of "special student" and admitted to an elite private school. By 1852, Rebecca married Wyatt Lee and moved to Massachusetts. There she worked as a nurse, a position she had apprenticed into because no nursing school existed for a young African American woman to attend. Several sources report that around this time, Rebecca began to apply to medical school but it took eight years for her to find a place that would accept her. While Rebecca was hunting for a place to go to school, a new school called The New England Female Medical College was starting up in Boston. The founders, Drs. Israel Tisdale Talbot and Samuel Gregory, faced a lot of skepticism from the medical community when the school finally accepted it's first class in 1850. Male doctors believed women were too physically weak and mentally sensitive to be doctors. Thankfully, the school founders proceeded. Rebecca was accepted in 1860 and graduated four years later. At the time of her graduation, only 300 of the 54,543 physicians in the United States were women. Until Rebecca finished school, none of those women were African Americans. However, Rebecca isn't extraordinary simply for being the first (a title she might not have even known she held. For years a Dr. Rebecca Cole was thought to be first, but she graduated from medical school in 1867.) Rebecca used her degree with compassion. Sometime after graduating from medical school, Rebecca remarried. Her first husband had passed away in 1863. While dates differ regarding when the nuptials took place, Rebecca married former fugitive slave and Union soldier, Arthur Crumpler. After the civil war, the couple moved to Richmond, Virginia, where Rebecca established a medical practice working primarily with poor women and children and freed slaves. In 1880, Rebecca and her husband returned to Boston where she continued to practice medicine, though possibly not as frequently as before. 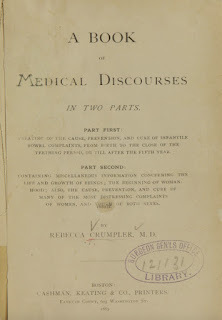 She used her time to write a medical guidebook called, A Book of Medical Discourses in Two Parts, which was published by Cashman, Keating and Co., of Boston, in 1883. 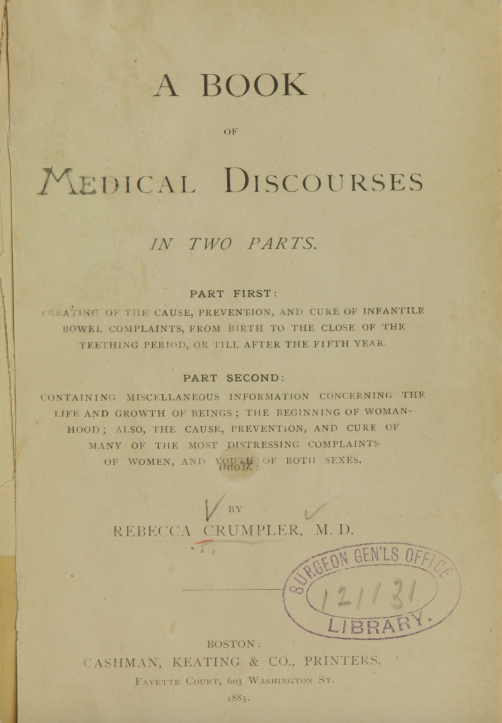 The text is dedicated “to mothers, nurses, and all who may desire to mitigate the afflictions of the human race.” It focused on the medical needs of women and children, a concept way ahead of its time. The book is also possibly the first medical publication written by an African American author. Rebecca didn't lead a movement, but she quietly persisted in her chosen field. She broke barriers. She cared for those who needed it most. She documented her achievements to further the medical treatment of women and children. Despite her important contributions, no photographs of Rebecca remain. Pictured here is a manuscript of her book. 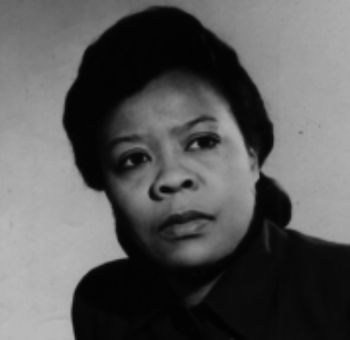 Rebecca has not been widely remembered by history, but her persistence in breaking down barriers allowed her to serve her community and opened up the medical profession to a whole new demographic. Excitingly, her book is back in print and affordable on Amazon! Read more about her on Changing the Face of Medicine. During the Great Depression, women brought literacy to the people in the mountains of Kentucky. They road hundred of miles to make sure every citizen had access to books. Traveling libraries began in Kentucky in 1896 to address the issues of isolation, illiteracy and difficult travel in eastern Kentucky. The first pack horse library began in Kentucky in 1913 and was founded by May F. Stafford and supported by a wealthy businessman who died one year into the project, which eventually fizzled from lack of funds. By the time the Great Depression hit, the mountainous, eastern portion of Kentucky still suffered high illiteracy rates with little access to education and books. The area was poor, underdevelopment and underserved by public serves such as road, education and libraries. Coal mining began in the area, which made the citizen hopeful for more prosperous future. They knew literacy would be an important part of that future and wanted to learn to read. However, they lacked access to books. In 1930, 31 percent of eastern Kentucky residents were illiterate. Despite the demand for books, by 1935, Kentucky circulated only one book per person while the standard at the time was five to ten books per person. When the New Deal was established and the Works Progress Administration (WPA) was created, they examined the struggles of eastern Kentucky and revisited the pack library idea from 1913. A new pack library began in 1935. Carriers, widely known as "book women," were indeed primarily female. These women would ride through icy, treacherous conditions in areas of the state that didn't have roads or established pathways to make sure everyone had access to books. They took their jobs seriously and would often endure falls, frozen feet and flooding. Sometimes the horses couldn't traverse the terrain leaving the carriers to travel on foot or even row boats to reach a destination. One librarian hiked her 18-mile route on foot when her pack mule died. Carriers also had to create relationships with the communities they visited. Many were skeptical of the newcomers and the books they brought. To help connect with these communities, carriers would read aloud passages from the Bible. This helped them find common ground with patrons who were familiar with oral Scripture readings. It made the people in these areas interested in learning to read the Bible and other books for themselves. Carlie Lynch was a school teacher at a stop on one of the routes. Grace Caudill Lucas was the carrier to her area. Lynch told The Courier-Journal in 1995 about Lucas' visits to her classroom. She said "She's one of the finest women who ever grew up in this area. She would come every two weeks. I must have had 45 children in the one-room school, and when she would come they'd be so tickled. There weren't many books, but we would pass them around and try to let as many children read them as possible. They loved books like Robinson Crusoe, and they loved poetry." The carriers earned $28 monthly for covering between 100 to 120 miles a week, but little else was paid for by the WPA. In fact, the carriers had to pay 50 cents a day for their pack horse or mule and feed it themselves. No funds were provided for books, so librarians requested donations from anywhere they could and repaired materials as best they could. Communities had to find their own facilities to store the book collections, turning to churches and post offices. Librarians had to creatively care for the books they had often transferring text from broken or worn out books into binders so people could still read them. The pack library program ended in 1943 when the New Deal and WPA were dissolved. 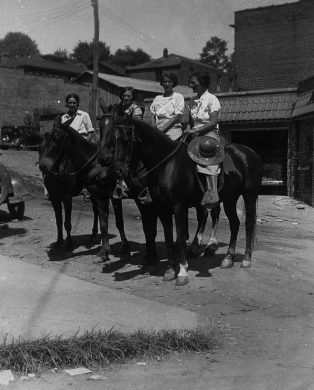 Over the course of its run the pack library employed nearly 1,000 carriers providing work for many brave women in a time of great struggle for the country and eastern Kentucky. These women didn't just look at this as a job, but as a duty to secure literacy for their fellow Kentuckians. Watch a quick video about pack horse librarians. Explore the story and more photographs on Smithsonian.com.